Microsoft User Group Hyderabad (MUGH ) invites you to Developer Day on 29th Jan’12 . This is scheduled on this Sunday (29th Jan – from 9:30 A.M to 1.30 PM ) at Microsoft Campus , Building 3 MPR Halls , Gachibowli, Hyderabad. I am presenting on “Coding for fun on Kinect” . During this1 hr. 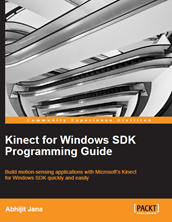 session, I will be talking about Kinect .NET SDK APIs and will be developing some cool application using Kinect for Windows SDK Beta 2. Yeah, something interesting! I have few copies of “SQL Server Questions & Answers” book by Pinal Dave and Vinod Kumar to give away during my session. Looking forward to meet !